ChemSAR Standard operational procedures were introduced in the Artic Rescue Coordination Centre meeting during their visit to the MRSC Helsinki 10th October 2018. The visit was part of the Arctic Coast Guard Forum’s Expert meetings. The feedback from the Icelandic, Norwegian, Canadian and Russian representatives about SOPs was good, and they are looking forward to the forthcoming steps towards implementing them. 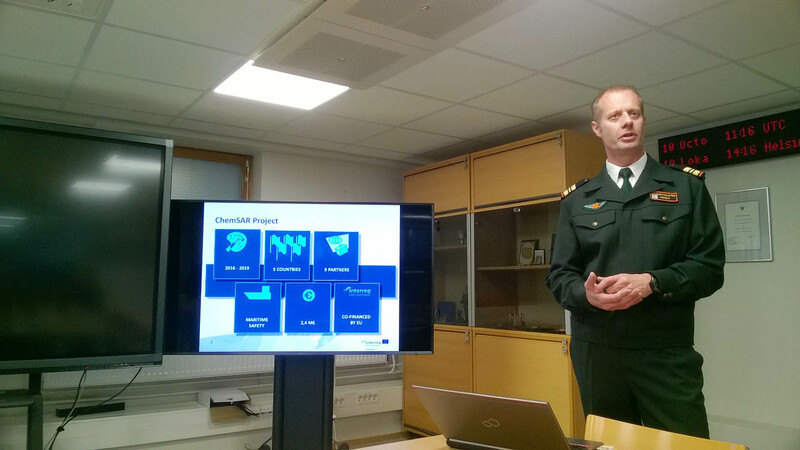 Teemu Niemelä from the Finnish Border Guard also invited the Commanding Officers of the Aeronautical and Maritime RCCs to the ChemSAR final seminar 6.2.2019 where the whole HNS SAR Handbook will be available.